I started this scarf for Evie last winter but never finished it. 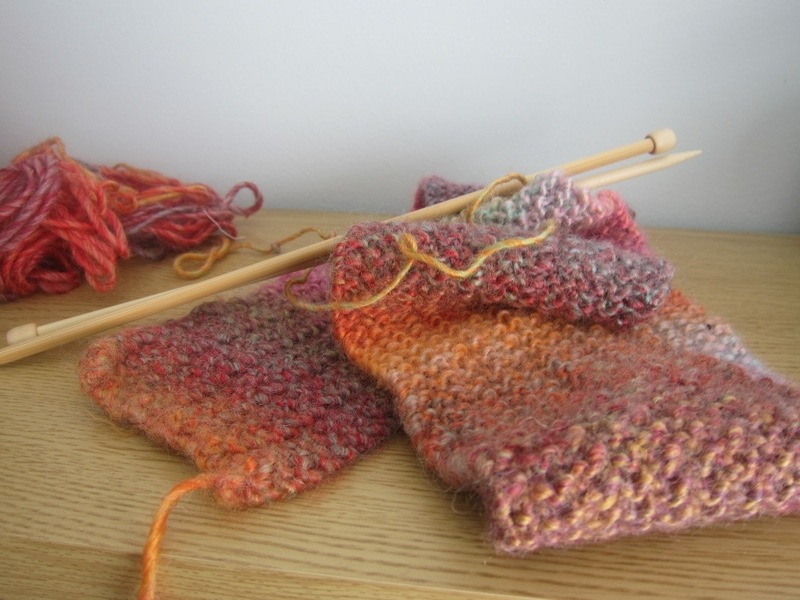 I absolutely love the yarn, it’s really soft. 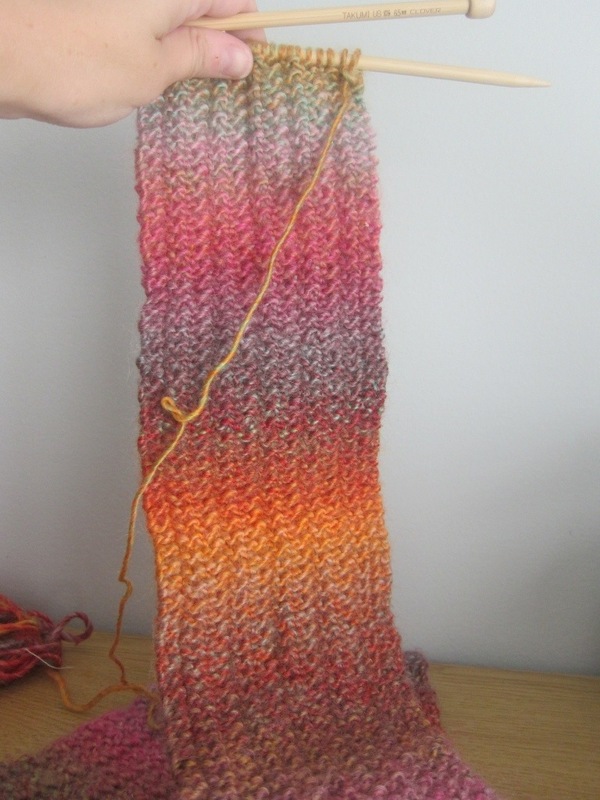 Usually when I buy a variegated yarn I’m disappointed by the outcome, but the gradient on this one is really pretty. However, that’s also the reason this scarf never got finished. I’m coming to the end it the skein and I want it to be longer but don’t know how the new skein will look. I’m worried there will be a really obvious and abrupt change that will ruin the scarf. I guess really the only way to find out is to try, but I’m nervous.